"Some Beautiful Woman Are Dangerous"
Not too long ago I wrote of the ridiculous asking price for a used cassette of a classic recording by King Sunny Adé. That was absurd, but at least Sunny has been an international superstar for almost 50 years. While Obiajulu Emmanuel Osadebe came from musical royalty (his father was Nigeria's late, great highlife master Stephen Osita Osadebe), and was talented, his recording career, prior to his untimely death in 2009, had not reached a level anywhere near that of his father. 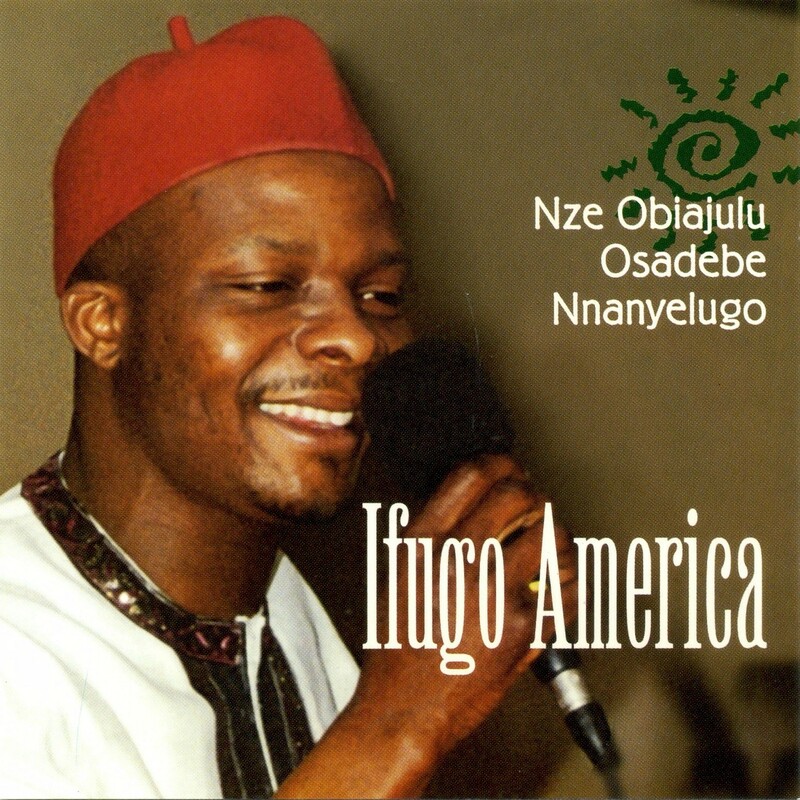 I have two vinyl LPs by him from the early '90s, and the CD Ifugo America (O & I Productions OANDI 001, 1998) was recorded during a sojourn in Atlanta during the late '90s. That's the extent of his recorded outlet as far as I know. He also opened for Sunny Adé during a US tour shortly before his death. The first son of the late highlife music maestro, Chief Stephen Osita Osadebe, Obiajulu, is dead. According to a family source, Obiajulu, 43, died on Tuesday at Niger City Hospital, Onitsha, Anambra State, after a brief illness. The body has been deposited at the Ozubulu Central Mortuary in Ekwusigo Council area of Anambra State. Although the cause of his death could not be ascertained as at press time, there were speculations that he died of heart failure. He had been bed-ridden for over five months at his Atani country home, Ogbaru Local Government Area, Anambra State. Obiajulu, who came back to the country after the burial of his father on February 8, last year, stepped into his father’s shoes, remixing some of his hit songs. He also performed at some popular joints within and outside Onitsha. Until his death, Obiajulu was married to Olayinka. They have a daughter. Besides, he is survived by an aged mother, brothers and sisters. 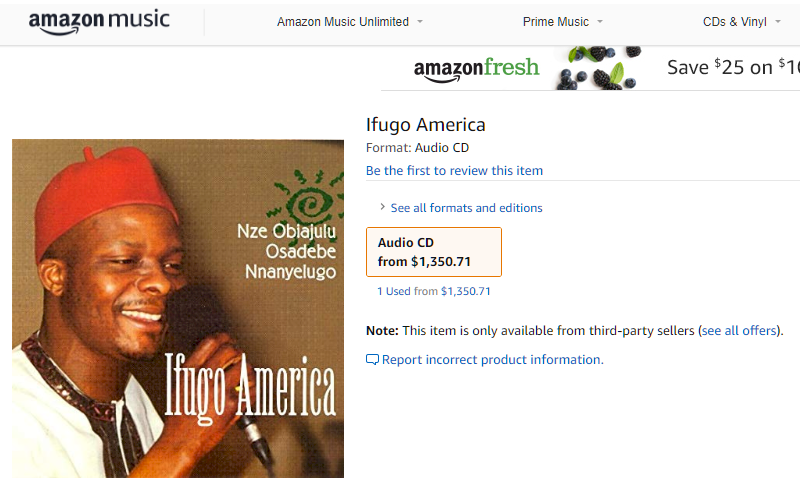 Ifugo America is a pretty good recording, albeit a little too dependent on synthesizer (Obiajulu's Nigerian albums used his father's backup band), but that's no doubt a matter of economics. I just don't think it's worth $1350.71. But decide for yourself! Download Ifugo America as a zipped file here. As I understand, there is another one son of mr Osadebe in music business - Onyinye Osadebe?? Thanks John. That is a terrific title for a blog post. I'll give this one a listen. Thanks for your answer. 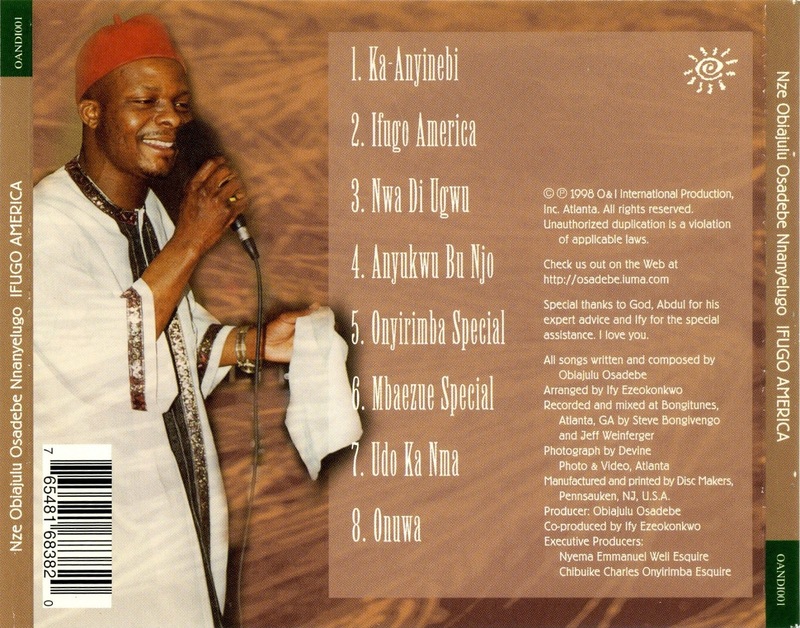 I found several songs of Onyinye in the net (very similar music with Chief), but didn't know exactly who is he.